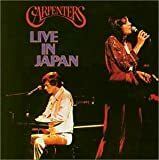 The Carpenters were an American vocal and instrumental duo of Karen (1950–1983) and Richard Carpenter (b. 1946). They produced a distinct soft musical style, combining Karen's contralto vocals with Richard's arranging and composition skills. During their 14-year career, the Carpenters recorded ten albums, along with numerous singles and several television specials. The siblings were born in New Haven, Connecticut, and moved to Downey, California, in 1963. Richard took piano lessons as a child, progressing to California State University, Long Beach, while Karen learned the drums. They first performed together as a duo in 1965 and formed the jazz-oriented Richard Carpenter Trio followed by the middle-of-the-road group Spectrum. 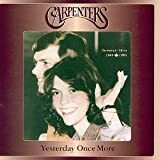 Signing as Carpenters to A&M Records in 1969, they achieved major success the following year with the hit singles "(They Long to Be) Close to You" and "We've Only Just Begun". Subsequently, the duo's brand of melodic pop produced a record-breaking run of hit recordings on the American Top 40 and Adult Contemporary charts, and they became leading sellers in the soft rock, easy listening and Adult contemporary music genres. The Carpenters had three No. 1 singles and five No. 2 singles on the Billboard Hot 100 and fifteen No. 1 hits on the Adult Contemporary chart, in addition to twelve top 10 singles. They have sold more than 90 million records worldwide, making them one of the best-selling music artists of all time. The duo toured continually during the 1970s, which put them under increased strain; Richard took a year off in 1979 after he had become addicted to Quaaludes, while Karen suffered from anorexia nervosa. Their career together ended in 1983 following Karen's death from heart failure brought on by complications of anorexia. Extensive news coverage surrounding these circumstances increased public awareness of eating disorders. Though the Carpenters were criticized for their clean-cut and wholesome conservative image in the 1970s, their music has since been re-evaluated, attracting critical acclaim and continued commercial success.